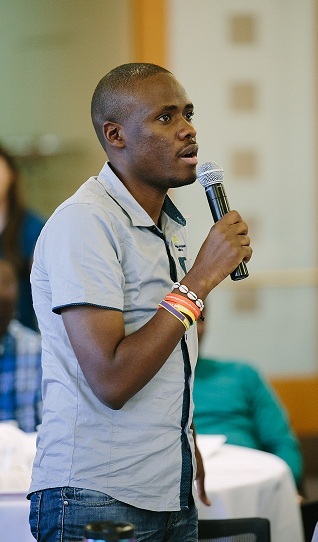 SMNLW participant Patrick Mwesigye is from Kampala, Uganda. He is the Founder/CEO of the Uganda Youth and Adolescents Health Forum, a community-based organization that aims to empower young women and support youth engagement. He is also the Vice President of the Africa Youth and Adolescents Network on Population and Development and the Chair of the PMNCH advisory group for the adolescent health knowledge summary. S: Tell me about yourself and the work that you do. P: My name is Patrick Mwesigye and I’m from Uganda. I’m the Founder and Executive Director of the Uganda Youth and Adolescents Health Forum, but I prefer to call myself Team Leader. The Youth and Adolescents Health Forum is a youth-led and youth-serving grassroots advocacy organization. We work with adolescent women and young girls to address their sexual and reproductive health as well as gender-related issues and challenges, including menstrual hygiene and gender-based violence prevention. In terms of livelihood, we empower and equip young women with practical skills. We run a workshop where we train girls to make items like reusable sanitary pads, belts, wallets, shoes and other items. There was a study done by UNICEF in Africa that found that one in ten young girls misses school or drops out of school due to menstrual hygiene challenges. The reasons are poverty, limited priority by parents or government to ensure these materials are available, and lack of knowledge about the risk factors associated with not having sanitary wear. The consequences include dropping out of school, developing urinary infections, experiencing discrimination and stigma at school, and the long term consequences of dropping out of school such as early sexual initiation and pregnancy, HIV/AIDS and even maternal health complications. S: What is the biggest challenge in maternal and newborn health in your country? What is being done to address that challenge? P: The biggest maternal health challenge in Uganda today is teenage pregnancies. Today in our country about 25% of all pregnancies are among teenage girls. These young girls who should be in class studying and preparing for their future are giving birth when it’s not time, which has a huge social effect for the girls, their families, their communities, and the nation as a whole because they’re all losing out on the girls’ potential. We are trying to empower young people and ensure that they have a seat at the table when it comes to decision-making and programming. We want to see their voices actively engaged. The youth movement is advocating for increased youth engagement and meaningful participation in decision-making. My organization is running a campaign called “Young Mothers for Safe Motherhood” where we target both young mothers under 19 years-old and those who are at risk for teen pregnancy—girls who do not have access to sexual reproductive health knowledge and contraceptives. We do school and community outreach and dialogues. We engage community leaders and teach the young girls about sexual reproductive health, pregnancy and safe motherhood. The government is trying its best, but I believe they must do better. Why is it that in the U.S. the teenage pregnancy rate is low, and in Uganda it is high? Why aren’t contraceptives widely available in Uganda? We need to train health workers to provide youth-friendly services and include young people when designing programs. We are seeing some progress, but I believe we can do better. S: What kind of leader do you aspire to be? P: For a long time, we have made the mistake of sectioning maternal health by saying, “I am a researcher” or “I am a practitioner” or “I am an advocate”. No—we are leaders! If we’re going to reduce preventable mortality and morbidity and save lives, we must be leaders. We must know that it’s not only about interventions, programs, data or finances, but it’s about everything. It’s a cycle. We need evidence that is integrated into programs, which become effective interventions that are effectively delivered and utilized to have quality care. We can have all this data and all this research, but evidence doesn’t mean anything if it can’t be interpreted by policymakers and advocates. I don’t want to be a Minister of Health or a President. I just want to be a passionate leader who can integrate the different components of maternal health care –to appreciate and respect the fact that there are different players in the field, and these players must work together to be effective. Effective leaders who will drive the maternal and child health agenda under the SDGs need positive mindsets, positive attitudes and passion. 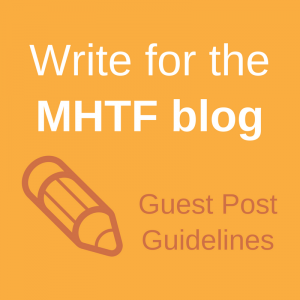 S: What would you like MHTF readers to know? P: We must prioritize adolescent health. In Uganda 56% of our population is under 19 years-old, so any intervention must address this population. I want to see us include adolescents in decision-making. I want to see more research on adolescent health and interventions for adolescents. We could be saving the life of a girl who will lead our country one day. Let’s keep thinking about the figures, but let’s put a human face and human value to those figures. Read the PMNCH Knowledge Summary about adolescent health for which Patrick served as an adviser. Check out Patrick’s summary of the Safe Mothers and Newborns Leadership Workshop on the PMNCH website. 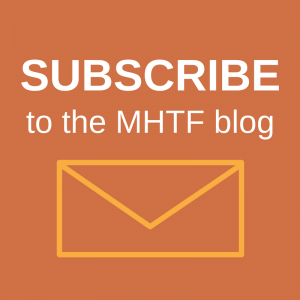 Receive the newest interviews in this series delivered to your inbox by subscribing to the MHTF Blog.